lobster kitchen is one of the newest kids on london’s restaurant block, having just opened its doors a few days ago on a glorious tuesday afternoon. 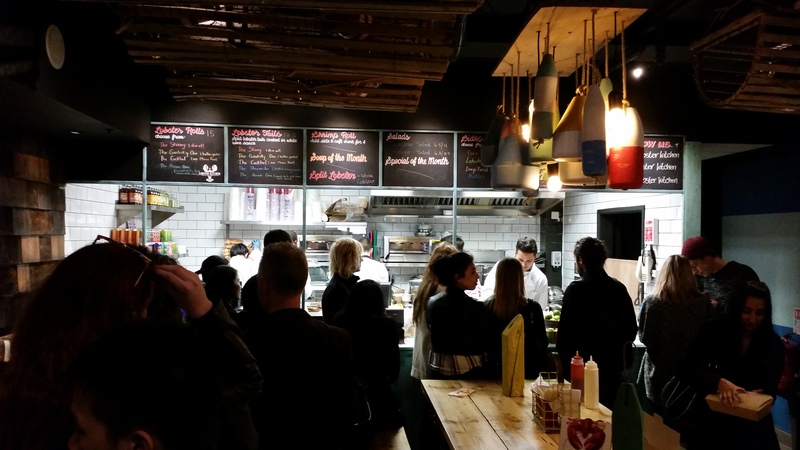 as its name suggests, it is a seafood shack serving a multitude of lobster dishes, and is tucked away on the ground floor of the st giles london hotel, just a stone’s throw from tottenham court road station. wooden buoys line the tables and hang from the ceilings while the walls are clad in wood. teamed with wooden tables and chairs and warm yellow lighting, the place exuded a laidback and quaint cosiness which made me feel like when i stepped back outside with my lobster roll in hand, i’d find myself right at a beach with seagulls circling overhead and the sound of waves crashing against the shore… (a girl can dream). we were super excited when we opened our boxes to finally see them delicious-looking lobster rolls glistening under the light! but we didn’t tuck into them immediately – the weather was simply too good to not bask in, so off to russell square we headed to enjoy our rolls under the glorious sun. when i finally took my first bite though, i have to say i was a little disappointed. 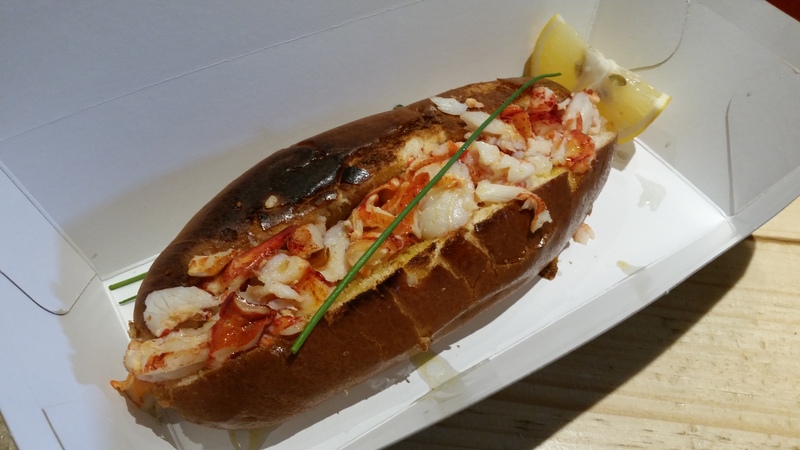 perhaps my high expectations were due to the long wait and my by-then-rather-immense hunger, but i couldn’t help myself comparing this lobster roll to the one that burger & lobster offers, and concluding that the latter still offers a better one. the brioche bun was not bad but a little on the dry side. as for the garlic, it was tasty and had the potential to be rather delicious, but i wish they had been more generous with it and spread it more evenly throughout the roll. as for the lobster itself, it was pretty decent but nothing to shout about – the meat just didn’t seem as juicy and naturally sweet as what burger and lobster offers. moreover, we all felt that there was certainly room to be more generous with the stuffing in the roll, especially when one pays full price of £15. but since we didn’t pay a single cent, we really didn’t have a right to complain about anything and were thus quite satisfied nevertheless. i was definitely not bowled over, but because they’re offering 50% off food till 28th november if you join their “claw club”, i have been sufficiently tempted to return to try the other items they have on their menu. not gonna lie, have been thinking about having some lobster mac and cheese since i saw it on the menu 😉 will keep this space updated if i do return, so stay tuned!